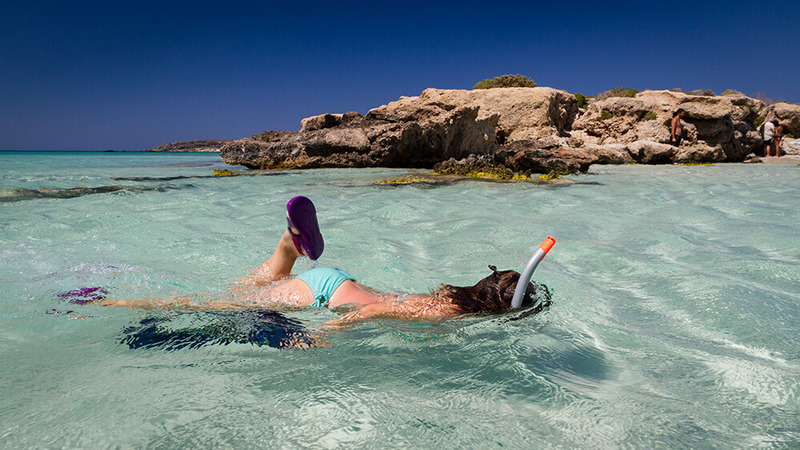 Family holidays – Crete, A flexible program for families. A multi-generational encounter with one of Greece’s best year-round landscapes to stir imaginations both young and old. Diverse family fun meets the epic history and gastronomy of Crete in a flexible program where you dictate the pace. INTRODUCTION: Only a few Greek islands represent a richer backdrop for family fun than vast and incredible Crete – the birthplace of King Minos and the Minotaur. Not only will your children experience those timeless staples of a perfect childhood holiday: sun, sea, ice-cream and the joy of new friendships. But with Greecefully’s excitement-charged 9-day Cretan Adventure, their budding imaginations will also be entertained, educated and inspired. We have crafted a singular menu of multi-generational appeal, sure to delight parents and grandparents too; while forging happy memories to share for decades. 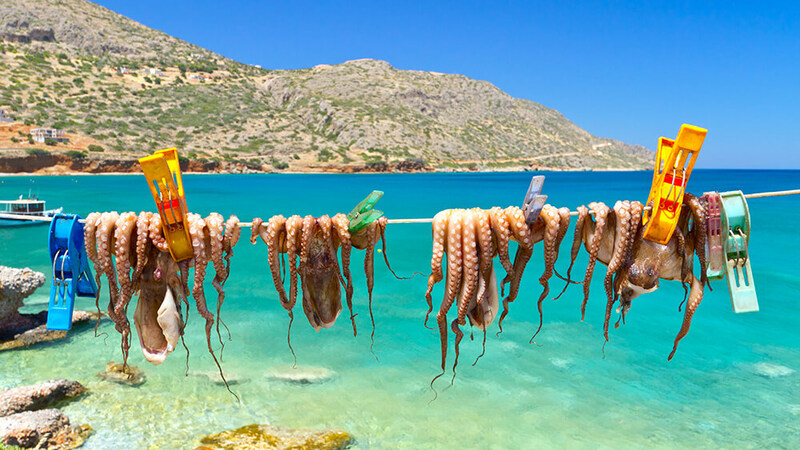 Scavenger hunts in historic towns; pirate adventures at sea; and hands-on Eco-adventures are just some of the unforgettable escapades you will experience on Crete. And because we know how unpredictable holidays “en famille” can be, it is up to you, how you are going to connect the dots and create your own pitch-perfect Cretan Odyssey. From the enchanting old city of Rethymnon; to bustling Heraklion; and spellbinding Knossos, Crete’s vibrant mix of natural beauty, local culture and world-famous cuisine and wine, make it one of the most beloved regions in Europe. Come and discover this King of islands with us. 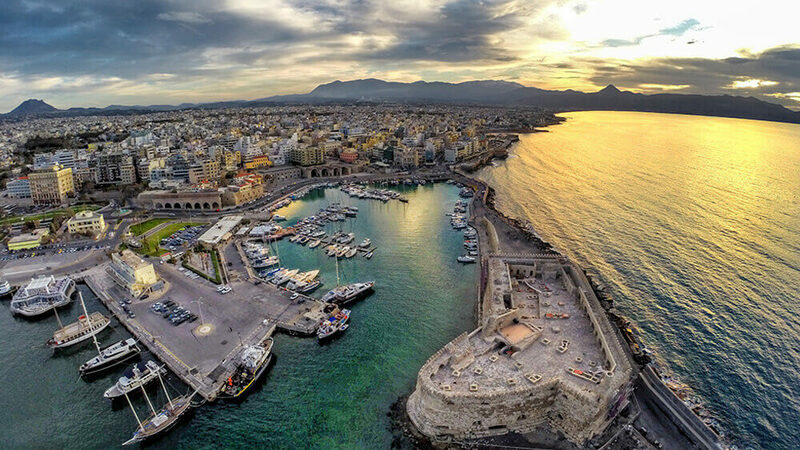 Heraklion on a Plate: Settled since Neolithic times, Heraklion is Crete’s energetic modern capital, set against the island’s loftiest mountain peak Psiloritis. A guided walking tour is one of the best ways to reveal Heraklion’s treasures, from its captivating Venetian port and walled old city; to its pedestrianized historic centre punctuated with lively squares. You’ll dine on traditional Cretan dishes that define this acclaimed gastronomy: all using simple techniques and best seasonal produce: mountain herbs and greens, bulbs, unique cheeses, fresh fish, and the famous Cretan oil. Transform into a Pirate on a Day Cruise: Ahoy Maties! Just watch their faces light up when you tell them they’ll become a pirate for the day. Climb aboard the powerful “Black Pearl” and be swept up in this realistic adventure. They’ll live the pirate life, make drawings, play games such as swordplay, sack races and balancing challenges (while wearing life-jackets), among other activities. Your job is to sit back, relax, and enjoy your Lil’ pirate’s excitement (and perhaps a little moonshine!). The Palace of Knossos: Teleport yourself back 4,000 years in time to Europe’s oldest civilization with a visit to the remarkably well-restored Knossos Palace, by far the largest of the Minoan Palaces, and once the thriving heart of a highly-sophisticated culture to rival Ancient Egypt. 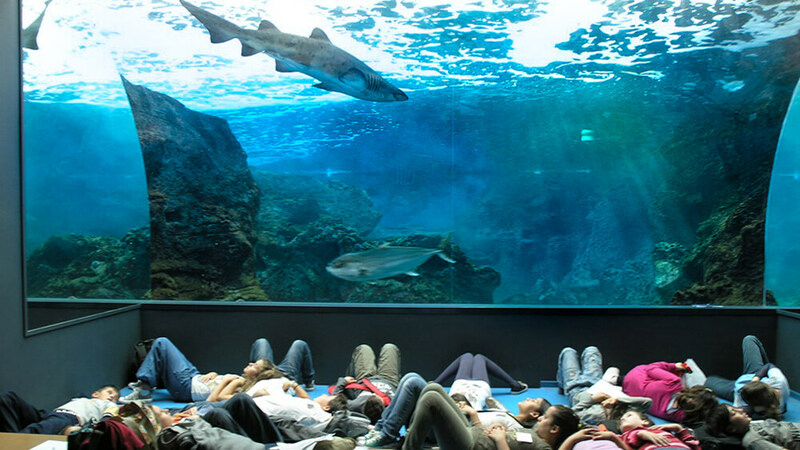 Aquarium Visit: Brace yourself to meet the mesmerising underwater world of the Mediterranean at the Aquarium, where you’ll join an experiential tour, especially tailored with small children in mind. Here, they’ll happily explore and learn about the marine environment and the animals that call it home. Ancient Eleftherna Hike & Pottery Visit: Learn exactly why Ancient Eleftherna – a Dorian built a settlement in the foothills of Crete’s highest mountain Psiloritis – was named by the Archeological Institute of America in its “Top Discoveries of 2009”. Our hike will begin from the ancient Acropolis of the town, where we will pass by remarkable Roman cisterns, carved into the hill’s western flanks; the Necropolis; and an ancient bridge dated 3rd century BC. The hike concludes in the tiny village of Margarites, prized for its pottery. 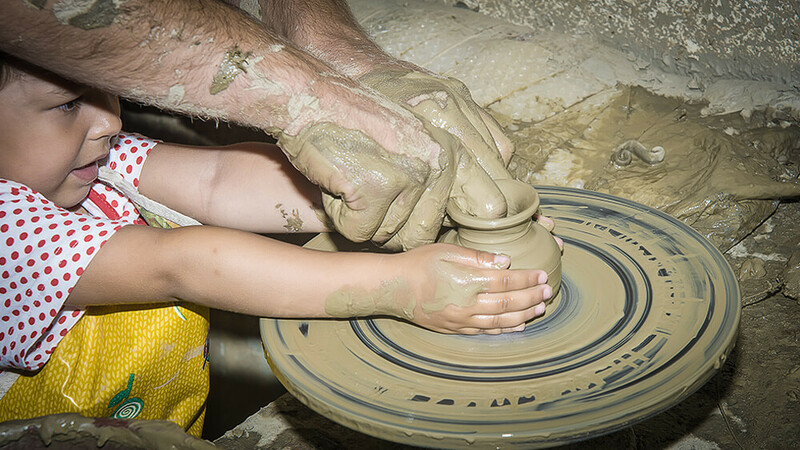 Your children will have the joy of sculpting their own ceramic keepsakes. Rethymnon Treasure Hunt: Embark on a memorable treasure hunt in the labyrinthine lanes of the historic quarter of Rethymnon, which still preserves a stirring Venetian and Turkish echo from its past occupations. What better way to acquaint everyone with this fascinating and famous town! Farm Visit and Taste of Cretan Rustic Life: Delve deep into the Cretan tradition at a farm that has revived centuries-old organic practices. We will play “Farmer for the Day” to learn how it feels to make and eat authentic Cretan food. While adults enjoy the farm experience, our new junior farmers roll up their sleeves and join in fun-filled farm activities, including making dough and baking, picking vegetables, and preparing dishes for their own healthy and delicious lunch. Relax afterwards with sweeping views over olive groves and sea, while we savour a farmhouse meal from the fruits of our labours. Hike Imbros Gorge and Visit Frangokastello: It is no secret, that Imbros seduces everyone that meets her. This pine tree-lined gorge narrows and widens dramatically in places until it reaches the southern coast and the Libyan Sea. Just as immersive as its more famous rival Samaria – albeit on a smaller scale – Imbros is a wondrously serene and diverse trek, better suited for families. You’ll encounter dramatic contours, enigmatic caves, and monumental natural stone archways. 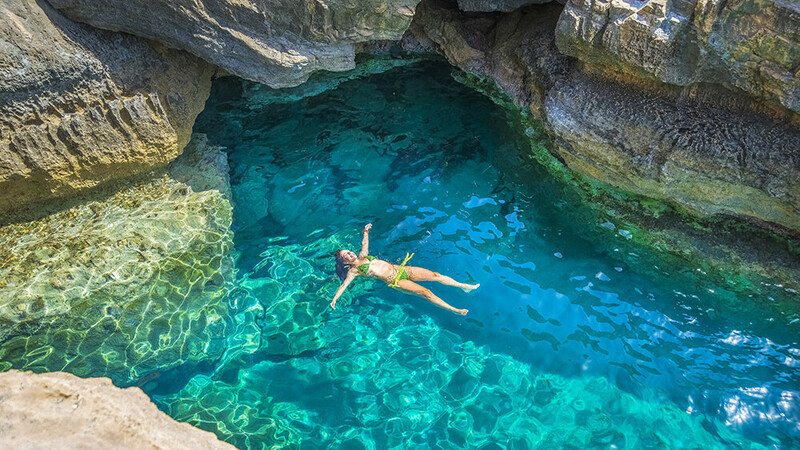 The three-hour walk is ideal for the kids, especially as immediately afterwards, we take a short bus ride to breathtaking Frangokastello, one of Crete’s best swimming spots. 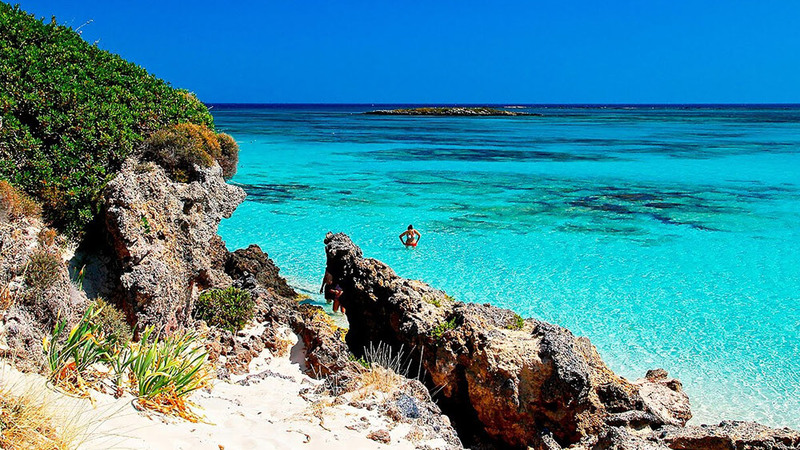 This beach boasts fine sand and crystalline shallow waters perfect for small folk. Mili Gorge Hike: From the modern village of Mili, it’s an easy two-hour hike towards Rethymnon. Restful Mili Gorge takes its name from the many watermills in the area (active from the time of the Venetians until the 1970’s). We will pass many small waterfalls and ruined mills in the hillside, once fed by the still-evident stone aqueducts. Explore Chania: Chania is the spiritual capital of Crete and one of the world’s longest continuously inhabited city sites. Trapped snugly between the Cretan Sea and the White Mountains, you’ll find a living museum waiting to be explored. Chania Old Town, with its shimmering waterfront and teetering Venetian ruins, amply fills a day’s worth of sightseeing. But to us, the greatest pleasure of all is wandering the magnificent bustle of ancient cobbled paths, with their treasure trove of Venetian and Turkish architectural gems.